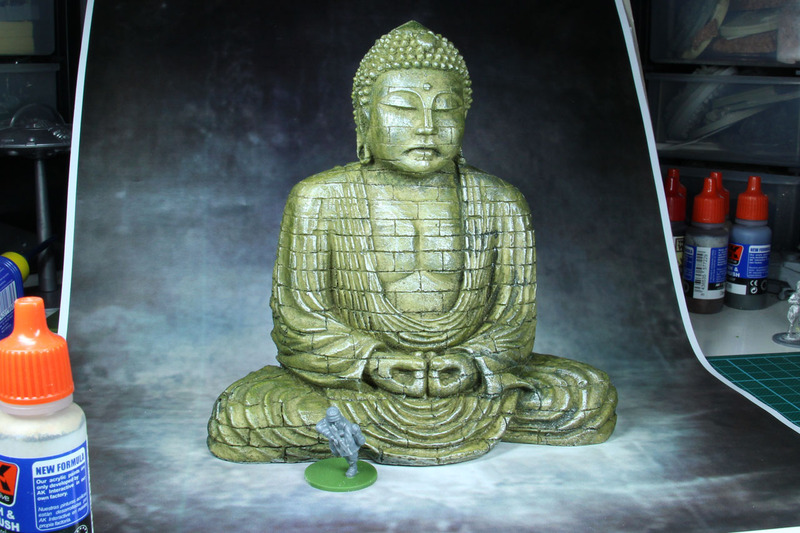 Aquarium deco pieces are useful if you're looking for something special as a terrain piece. 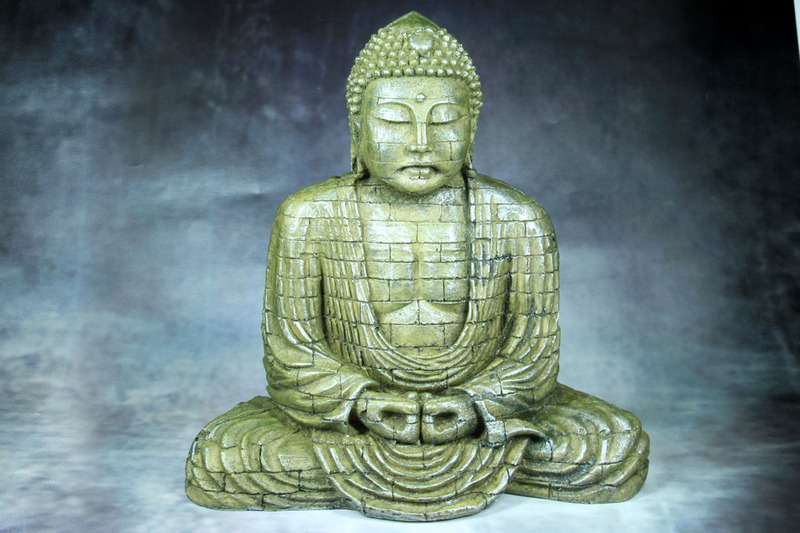 So this buddha statue would be a nice addition for a jungle scenario, like burma, and at 13 Euro quite cheap. 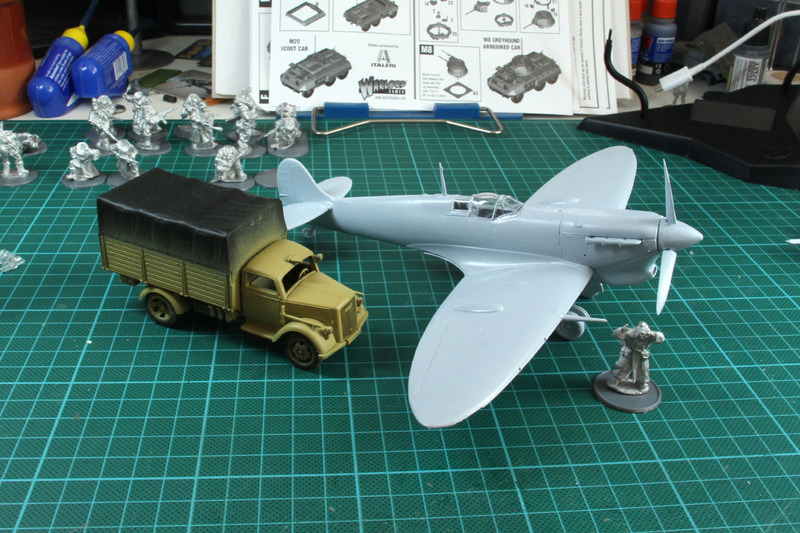 So i added a picture with a 28mm miniature, to show the incredible size of that - prepainted - piece. 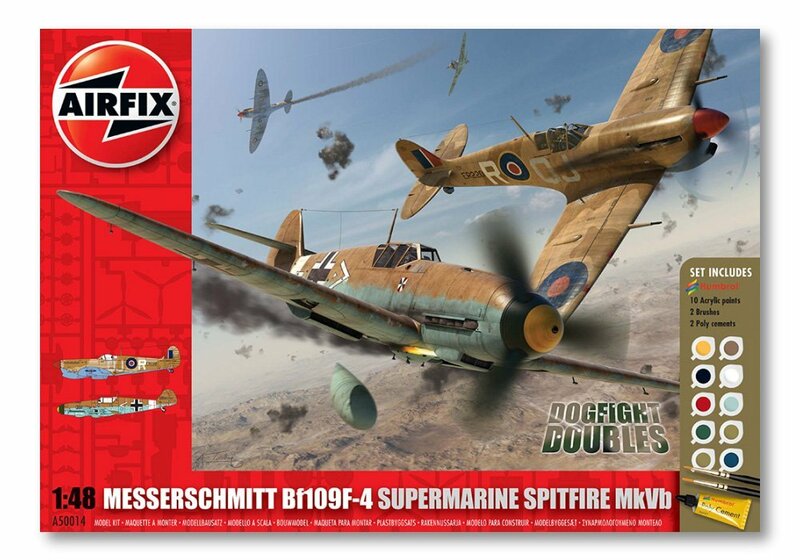 So i looked across the broad range of 1:48 aircrafts, and stumbled upon an airfix that bundles a german and a british fighter - even covering some that were used in north africa. While building the kit, i saw that it is quite old - from 1979 (!). Assembly was easy, but the fit wasn't the best and some serious gaps. Never the less, it is primary a piece of terrain and this is going to work for me. 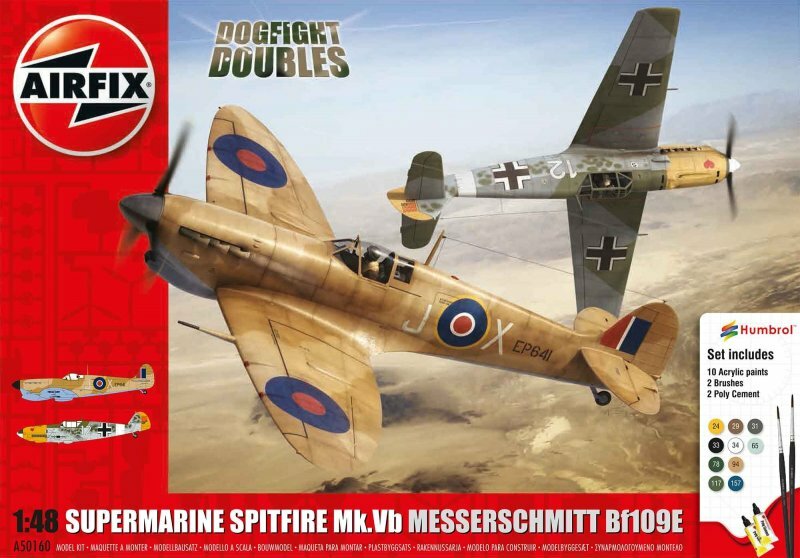 Thankfully airfix did some new tooling and updated the Dogfight doubles box with a new combo of Spitfire and Messerschmitt. 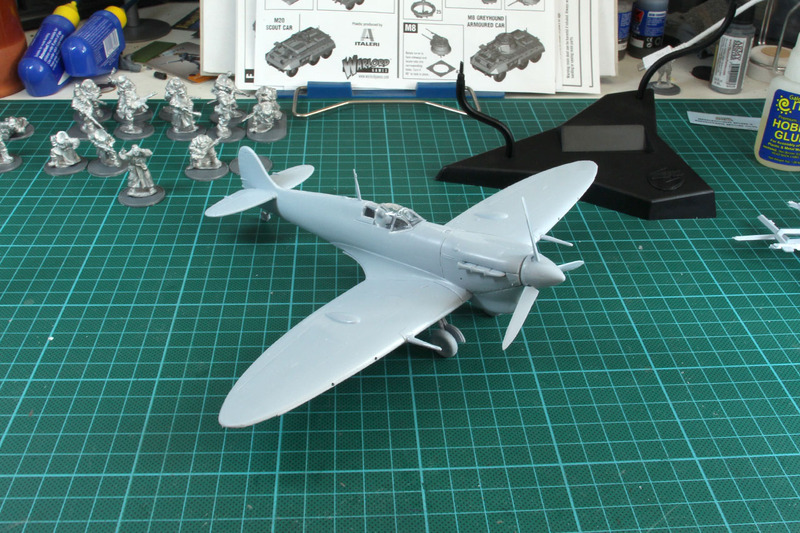 Going to look into that one next, as i want to have 3 axis and 3 allied fighters, to be used on airfields as well as on flying stands (have to do a research on them, what would be best). If you have any links or images on the paintjobs on these, feel free to forward them to me. As well as suggestions, what would be a good neutral scheme to be used in western europe as well as north africa, for both sides. 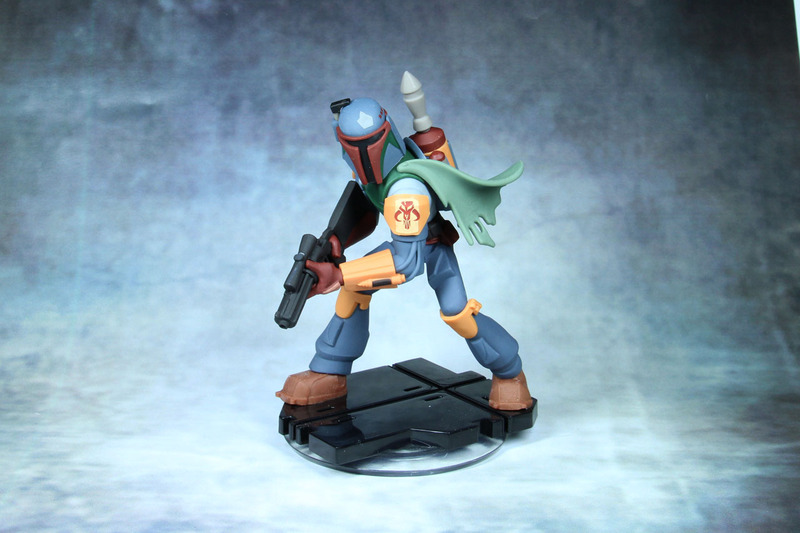 Oh and as i really, really like Star Wars and unnecessary stuff to put on my desk at home and work, i became aware of Disney Infinity. I already have a Ironman Hulkbuster as well as Darth Vader and was originally looking for a Black Series 6 Inch Boba Fett, and as those are next to insanely priced (80 Bucks upwards) i went - once again - with Infinity's version of it - here you go. 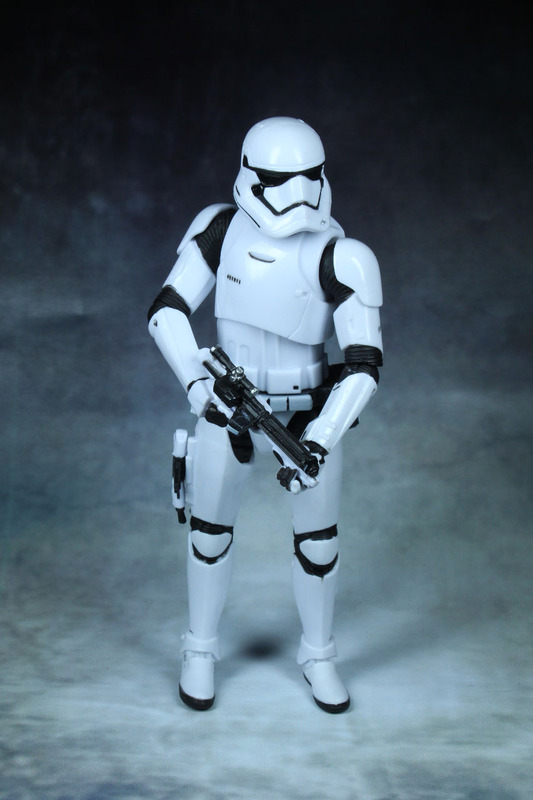 Never the less, i really dig the Black Series and the new first order Stormtroopers are incredibly awesome, i got myself a Black Series 6 Inch of them. Got it second hand on ebay, for way less than the 40 Euros they usually are sold. That's it for now. 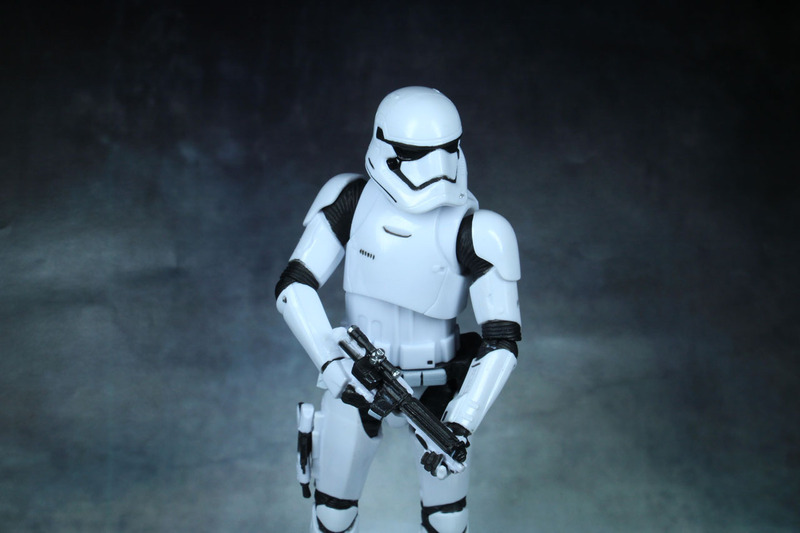 Broad range of topic, looking for a broad range of feedback 😉 Thanks a lot for reading, come by again soon and leave a comment or give me a like on Facebook if you like this blog!